AWSM theme provides a simple switch between One Page (scroll navigation) layout and Standard (open in a new window) layout. 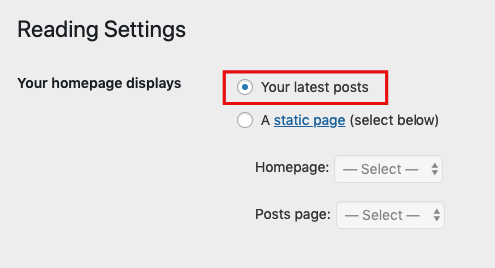 For one-page layout setup, go to Settings -> Reading and make sure to check front page displays latest posts option, then go to Theme Options -> Navigation for further setup. When you create a new page, it will be automatically added to the top navigation menu, as well as its child pages. Pages will be ordered by order menu field (highest first) provided for every page. You have an option to exclude the first page from the navigation considering it will be a home page link. Also, you have another option to exclude pages from scroll navigation which means that selected pages will still be shown in the navigation but they will open separately instead of scrolling to its content on the one-page layout. For standard layout setup, go to Settings -> Reading and make sure to check front page displays static page option, then go to Theme Options -> Navigation for further setup. If you choose the standard layout, you need to go to Appearance -> Menus and set up a common WordPress menu and attach it to the AWSM Top Navigation Menu area.